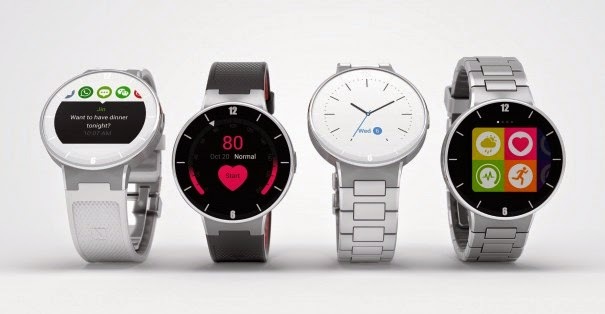 , Alcatel OneTouch on Friday announced a new smartwatch. Known simply as the “Watch,” it sports a circular face and can be connected to the Android smartphones for various tasks. According to Alcatel OneTouch, the Watch is an attempt from the company to create a smartwatch that looks like a normal watch, feels like a normal watch but is smarter than a normal watch. The company notes that it will be released at a very accessible price. “Offering the Watch at a fraction of the cost of competitors, the smartphone brand has implemented its compact design expertise to offer a series of fine finishing that meet the demands of everyone looking for the same look and feel as a traditional watch,” notes Alcatel OneTouch in a press release. Not many specifics are available at this point, but Alcatel OneTouch has stated that Watch is packed with sensors and apps that allow the users to monitor daily activity, and can be connected to an Android smartphone to control music, take photos, receive notifications and do more. We hope to hear more from the company during CES 2015, where it is showcasing the smartwatch.